Handwork has always inspired me. 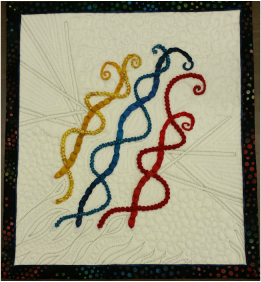 ~As a teacher I am always looking for ways to inspire my students to explore the art of quilting. ~As a quilter I see new avenues of expression everywhere. A tile in Barcelona, a wall in Vienna, or a blossom in the garden are images to start with. 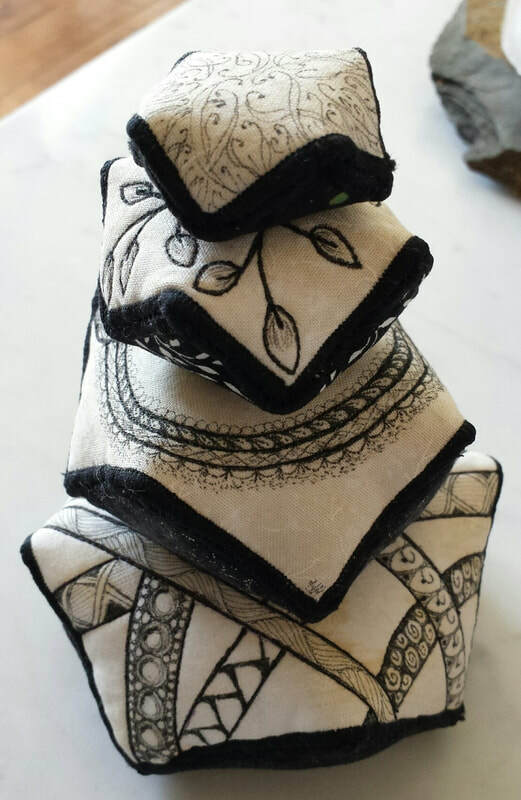 Using traditional Quilting, Applique, Ribbon Applique, embroidery, T-shirts or Zentangle Inspired Art, all my quilts are unique. I love to travel and always have sewing or knitting with me. Lately I have been making pincushions. You can also check out a sewing case. 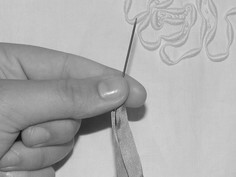 Using ribbons for embriodery is not the same as using thread. Check out these tricks to find out the right size needle for the yarn, ribbon or thread you are using. Ok, I am a multi-tasker... take a look at my current projects and past projects I am most proud of. Quilts, patchwork to applique, t-shirt quilts and more. I might share a knitting project, wedding ribbon that is being embroidered for a special bride.